I have Dutch parents, a Dutch passport and I love cheese. You could say that I am a really Dutch. But why do people ask me all the time whether I am really Dutch or where my parents come from. That is because I do not look particularly Dutch. The first years of my life I lived in a small town on the Veluwe. As a child, I wanted to have blond hair and blue eyes, like most children in the classroom. Today I am happy with my skin colour and my dark hair, but I have often wondered where this came from. According to family stories, we have French blood. In the 17th century Huguenots (French Calvinists) were chased away by Louis XIV. The Fleur family, whose name later changed to Flier, also fled from the south of France to the Netherlands. And apparently, I am one of their descendants. There is also an infusion of Russians in our family, but we do not know much about them. Anyway, both of these potential roots provide enough explanations for a questionable Dutch appearance. 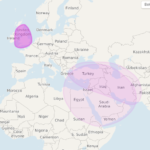 MyHeritage offered me the opportunity to get my DNA tested and discover my ethnic origin. 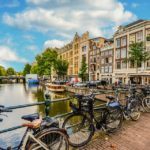 MyHeritage is one of the companies that provide DNA testing in the Netherlands in the context of genealogy (study of family history and pedigrees). A DNA test provides a representation of your ethnic and geographical origins. A test like that goes back about 10 generations. A DNA profile is different for everyone. That is because the genes that are passed on are random. The places that your ancestors called ‘home’ are ‘stored’ in your DNA. Ethnic groups are historically from the same geographical areas and from a local genetic source. The percentages of DNA that a person inherits from his ancestors is not evenly distributed in each generation. It may be that a great-grandparent has passed on 10% of his or her DNA to his great-grandchild, while another great-grandparent only passed on 2%. Some brothers or sisters can inherit certain ethnicities, while others inherit a different percentage or even no ethnicity at all. That makes a DNA test very individual. Why do I want to know my ethnic origin? For the same reason that most MyHeritage customers have. People have always been fascinated by the question: who am I and where do I come from? An organization like MyHeritage has the modern tools and technology to answer this question. DNA testing is getting more and more popular. According to Willeke, country manager of MyHeritage in the Netherlands, this is due to affordability and accessibility. “Ten years ago, the prices to do a DNA test were ten times as high as nowadays. The DNA tests can now also be ordered online and delivered to your home. ” That is how a DNA kit also ended up in my mailbox. The kit contained two cotton buds, two small tubes with preservative fluids and instructions for use. The whole thing lasted five minutes. I took two cheek swabs, put them in the tubes of liquid and placed them in the envelope that came with the kit so I could send them off to the lab in America. In anticipation of your reaction, I thought as I slipped the envelope in the mailbox with other postal codes. Almost two months passed. With my lively imagination I have thought about all kinds of test results. On the MyHeritage website I was able to follow my kit and the test stages. After a while, the results of the test were available online. And they were surprising. 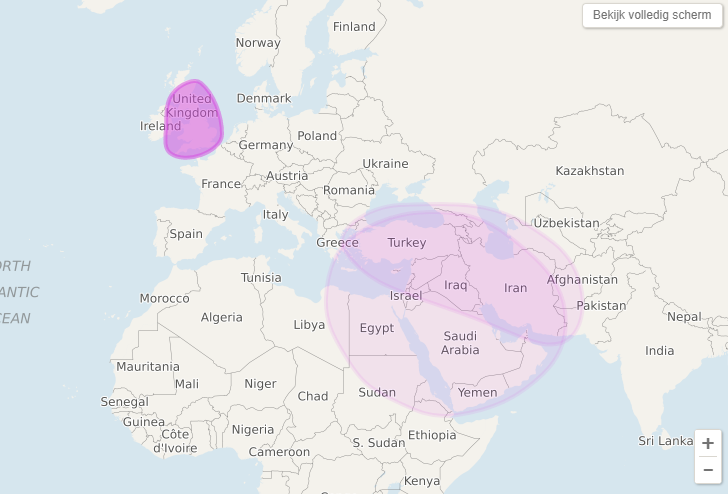 My DNA profile consists of 90% English, 9% Middle Eastern and 1% West Asian. Because I could not believe the test results – as it did not match the family stories I had heard – I contacted the MyHeritage Science Team. They gave the following explanation regarding my results. “There are similarities between ethnic groups when analysing the genetic markers. Ethnicity estimates – which are the result of a very accurate statistical algorithm – still remain estimates. And some global populations show similar DNA because they are close to each other and because populations have become mixed over the years.” MyHeritage continues to improve the algorithms and also keeps adding new ethnicities to the reference database. The accuracy of DNA results is expected to increase in the future, however, in the end it’s still a test, not a time machine.